This classic by Sinclair Lewis shattered the sentimental American myth of happy small-town life with its satire. 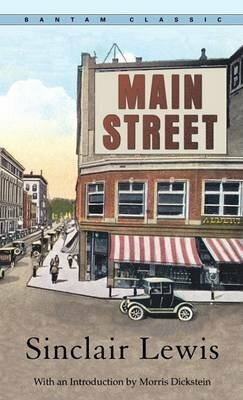 Main Street attacks the conformity and dullness of early 20th Century midwestern village life in the story of Carol Milford, the city girl who marries the town doctor. Her efforts to bring culture to the prairie village are met by a wall of gossip, greed, and petty small-minded bigotry. Lewis's complex and compelling work established him as an important character in American literature.